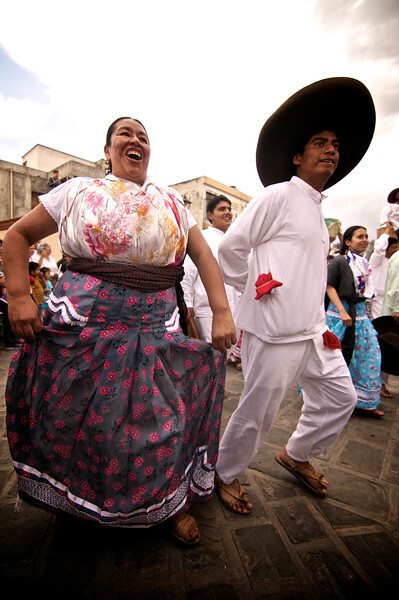 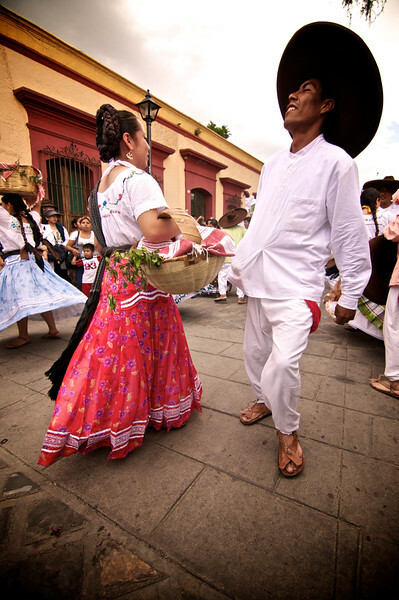 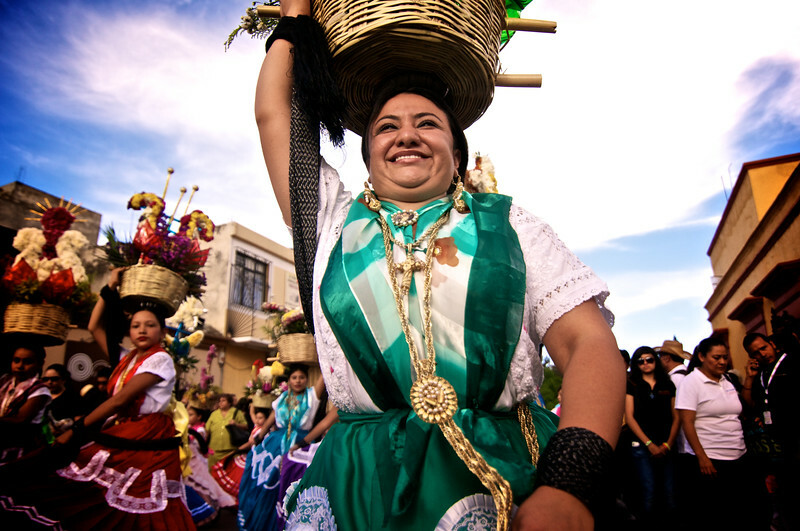 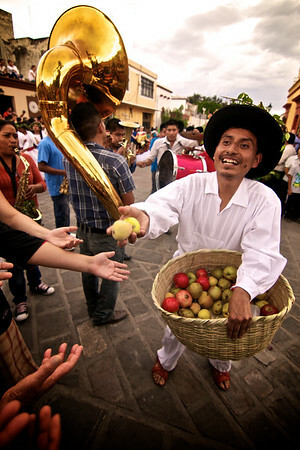 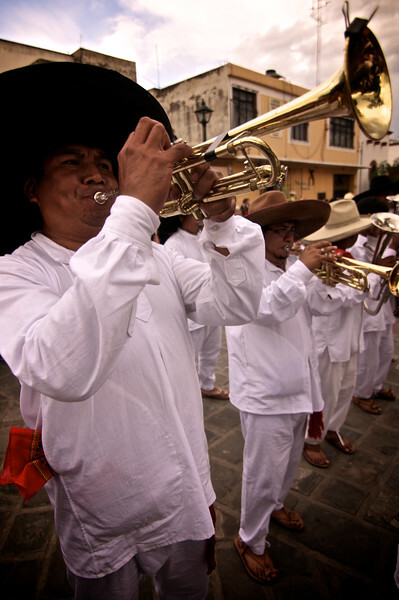 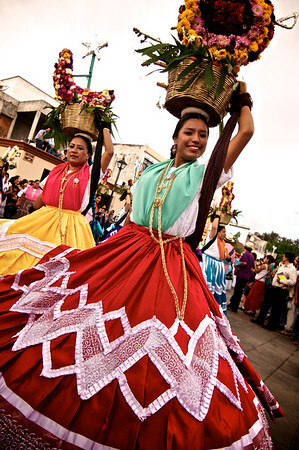 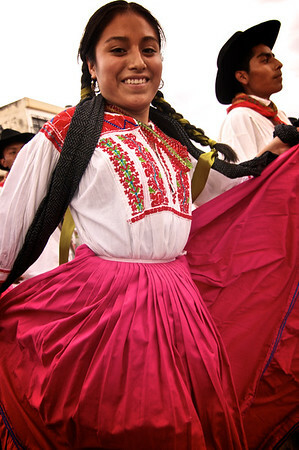 Chinas Oaxaqueñas Dancers perform on the streets during the Guelaguetza in Oaxaca, Mexico. 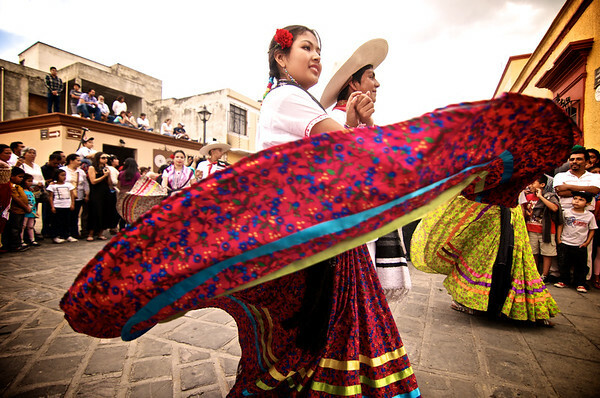 Chinas Oaxaqueñas traditional dancers perform during a Guelaguetza street pared in Oaxaca de Juarez, Oaxaca, Mexico. 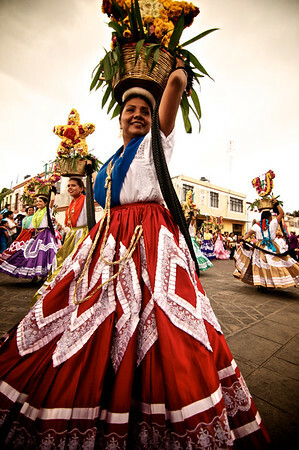 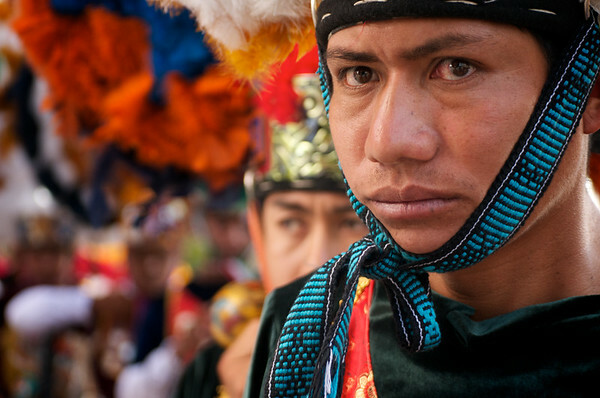 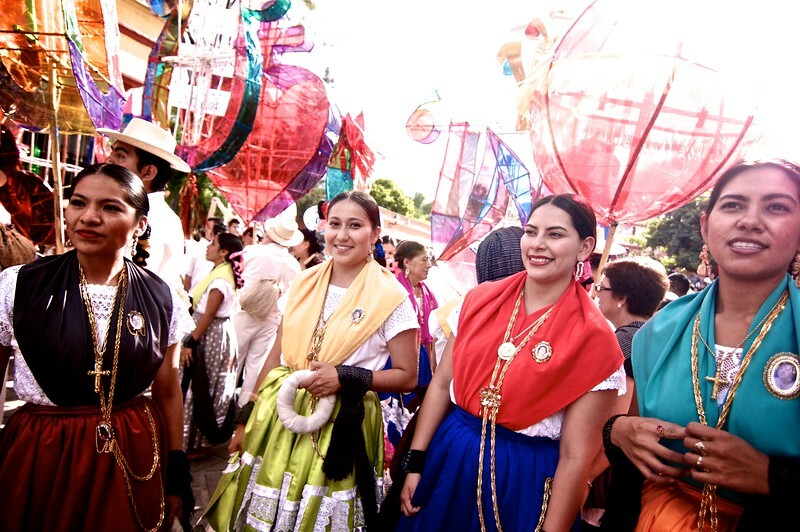 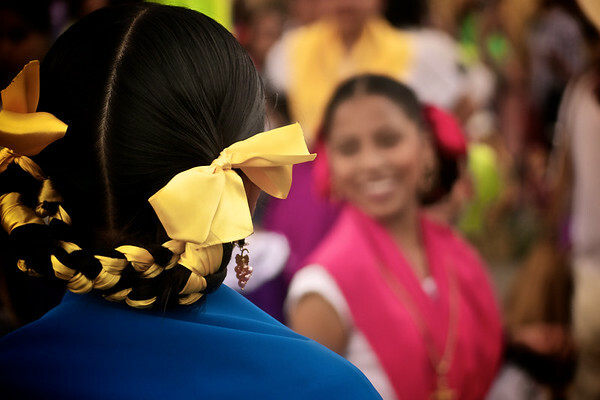 Chinas Oaxaqueñas typical dancers anticipate their turn in a parade during the Guelaguetza festivities in Oaxaca, Mexico.